Well, that may be the last nail in this coffin, folks. NBC has just greenlit the pilot for A.P. 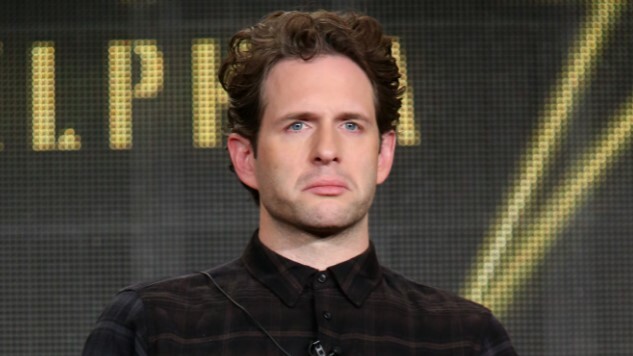 Bio, starring Glenn Howerton and Patton Oswalt, into a series, with the first season coming this fall. And while this wouldn’t necessarily be devastating news anywhere else, the inclusion of Howerton could very well mean the end of his role in It’s Always Sunny in Philadelphia. A.P. Bio follows a philosophy scholar (Howerton) who gets shafted on the pursuit of his dream job and is stuck teaching high school AP biology. Instead of teaching biology, in perfect Howerton fashion, he begins to scheme, plot and use the honors students for his own ends. This is really kind of a great premise, and Howerton has proven to be maniacal enough on Always Sunny to pull off a role like this, so it’s worth getting excited over. But at what cost? The loss of Dennis on Always Sunny would be monumental, and very sad. In fact, we’d love to petition for Howerton to stay on board Always Sunny, while pursuing creative interests with A.P. Bio. Kaitlin Olson made it work with The Mick, which just finished a hilarious first season on FX. As long as we have Dennis Reynolds, we’re happy. So whatever you have to do to make it happen, Glenn, we’re behind you all the way. Even if it means stepping down as showrunner and just staying on in your role … that’d be perfect. Because you can’t leave. You won’t leave. Because of the implication. A.P. Bio should be premiering either at the end of this year or in the beginning of 2018. In addition to Oswalt and Howerton, the pilot was written by Mike O’Brien and executive-produced by Seth Meyers and Lorne Michaels. Let’s just hope it’s worth it. Keep your fingers crossed, and see a photo of Howerton starring in his new show below.